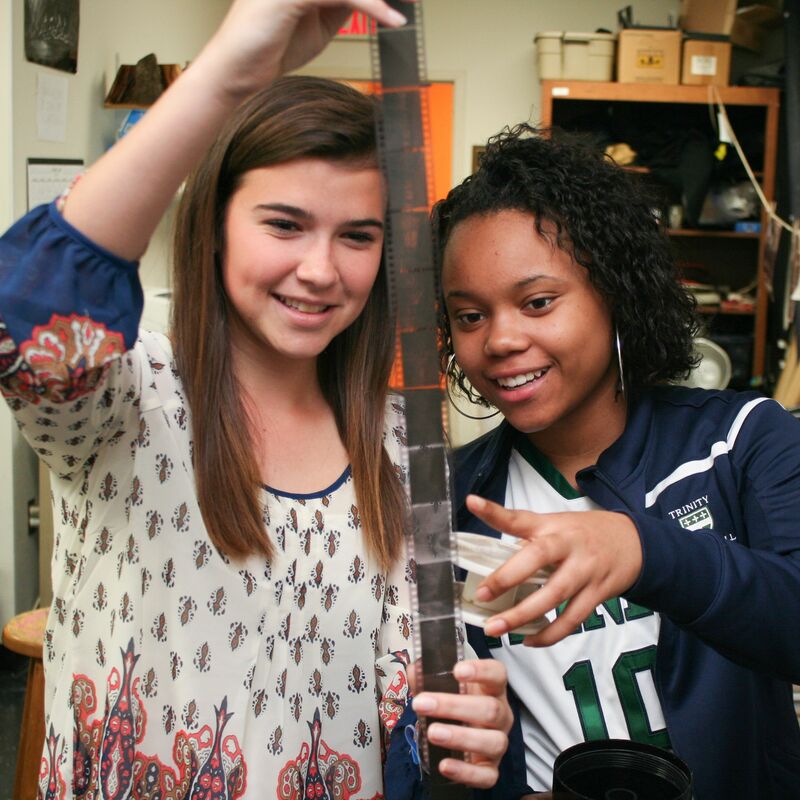 Trinity believes that the quality of a student’s life is uniquely enriched in essential ways by the development of skills and values learned in the creation of art. The visual art curriculum includes photography, painting, drawing, ceramics, mixed media and much more. Course levels are designed to meet the needs of beginning students through IB art certificate students. The visual arts program is structured in a holistic manner, blending history, culture, current events, technique and more into the works students create, while curating the essence and application of creativity and introducing students to peer critiques, artist statements, and risk taking. Trinity’s 4,000-plus square-foot visual arts center brings together artists, painters and sculptors in a spectacular collaborative space. The photography classroom is located in Morgan Hall, featuring both a a digital photography lab and traditional darkroom. The newly renovated Perkinson Arts Center features an updated lobby which doubles as a gallery space for all artists. Student artwork is regularly displayed and rotated through the lobby and other spaces on campus. 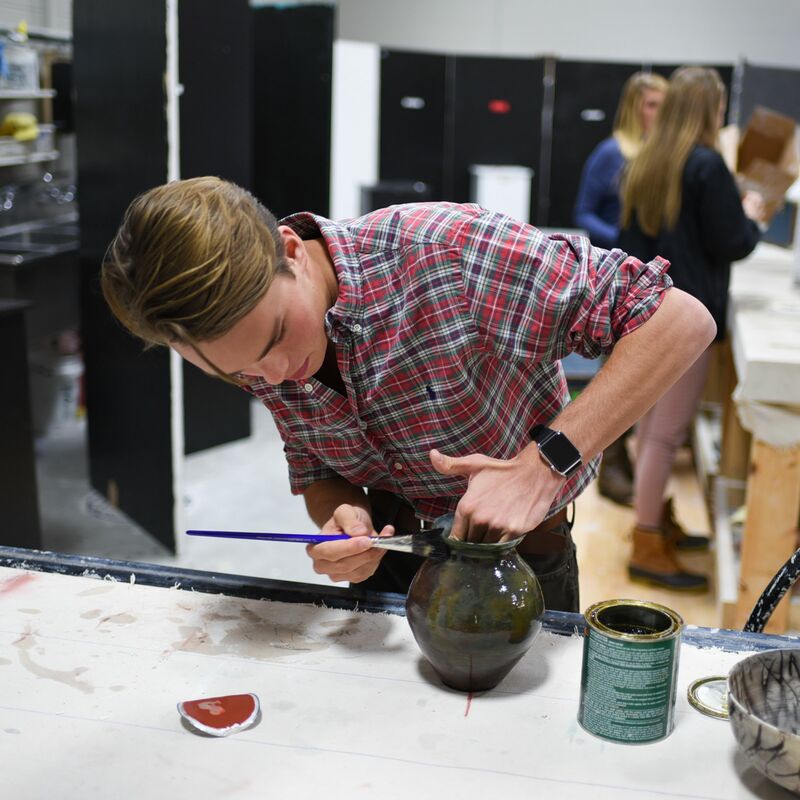 The International Baccalaureate Visual Arts curriculum is a two-year program for candidates pursuing the IB diploma or a single certificate in art. Interested students can apply into this program during their sophomore year.